Amazon Web Services helps you build, deploy, scale, and manage Microsoft applications quickly, easily, more securely and more cost-effectively. The AWS Partner Competency Program has validated that the partners below have demonstrated that they can help customers migrate, manage or deploy Microsoft Workloads to AWS. Solutions that address content management, search and workflows (Microsoft SharePoint), optimized communications management (Microsoft Exchange), design, access, and administrative control, high availability, compliance, and security. Easy and secure desktop solutions that take minutes to deploy rather than months. CloudHesive can deploy AWS Workspaces as bare workspaces with no management or take it to the next level by deploying a full suite of security controls. These controls protect your data, secure the edge nodes, monitor the end user’s activity to make sure your data is secure and help you pass compliance requirements. eCloud help customers design, migrate, deploy and manage Microsoft-based applications on AWS, with specific focus on Microsoft SQL Server workloads, data warehouses, BI and O365 integration with AWS. ECS is an AWS Premier Consulting Partner and a Microsoft Gold Certified Partner combining trusted Microsoft corporate IT applications with AWS's powerful, cloud-based infrastructure platform which allows us to accelerate your cloud adoption. ECS is an audited AWS Managed Service Partner (MSP) delivering complete Microsoft solutions enabled by the AWS platform to include all cloud infrastructure, application migration, licensing, and deployment with ongoing support and administration. Rackspace has unique expertise in architecting, migrating, managing and securing Microsoft public and hybrid IT solutions over AWS. Datapipe provides comprehensive cloud, compliance, security, governance, automation and DevOps solutions for AWS. Rackspace helps clients design, migrate, manage, and deploy their Microsoft Exchange environment on the AWS Cloud. The world’s most trusted brands partner with Rackspace to optimize mission-critical Microsoft IT operations powered by AWS infrastructure. SynchroNet’s focus on end-user computing has allowed them to develop proven deployment, operational and automation capabilities leveraging Microsoft Workloads on AWS. As customers look to take advantage of the agility, efficiency and scalability of the AWS cloud, Synchronet ensures the Windows workloads, VDI, and cloud desktop are architected in alignment with their cloud strategy. Solutions that address data management and warehousing, business analytics, structured and unstructured database integration and operation, and ensuring a high degree of security and regulatory compliance. 2nd Watch solutions for SQL Server on AWS are backed by audited and approved managed cloud services support for backups, patching, etc., while ensuring a high degree of security and regulatory compliance. 2nd Watch provides infrastructure and database solutions for SQL Server on AWS with managed cloud services support for backups, patching, etc. - while ensuring a high degree of security and regulatory compliance. Our expertise with Microsoft workloads at scale and compliancy includes Windows based deployment on EC2, Elastic Beanstalk for .NET, Autoscaling Windows Workloads, Hybrid and Multi-Region Active Directory, Highly-Available and Multi-Region SQL Server. Microsoft SQL Server is great at Scale and Resiliency, at AllCloud we specialize in deploying and managing SQL Database on AWS leveraging affordable high availability with SQL Mirroring or maximum performance and availability using SQL Alway-On. We can help our clients correctly and efficiently migrate, scale, optimize and manage their SQL and Windows environments, with a heavy focus on best practices, automation, repeatable deployments, and disaster recovery. Cascadeo has a well defined and proven methodology for helping our clients migrate, scale, optimize, and manage their Windows workloads and applications. We have a dedicated practice of engineers who are experts in Microsoft products. Cloud.in combines the AWS expertise with years of experience for Microsoft solutions. Cloud.in offers automation of Microsoft deployments on AWS and also manages the enterprise migrations from legacy infrastructure taking care of the complexity involved. CloudHesive has proven successes in migrating legacy Microsoft Applications to AWS, in a manner congruent with the Well Architected Framework while minimizing the need to make changes to the Application. Crayon offers strategic advice around purchase, management and the controlled evolution of IT solutions, such as the AWS cloud computing platform. Crayon's technical consulting business boasts over 350 subject matter experts. Crayon Group AS is a top 10 worldwide Microsoft partner. They are well known for their AWS expertise around Microsoft workloads. They have created a dedicated AWS Cloud economics practice to help customers understand the benefits of cloud and how to achieve realistic TCO reduction. Datavail provides database management services for SQL database environments with unmatched level of service, support & affordability. By combining strong tools & processes, we reduce costs, improve database performance, and provide 24x7 management. Our SQL Server database admin experts are experienced with: SQL Server 2005, 2008, 2008 R2, 2012 and 2014 Upgrades. SQL Server 7, 2000, 2005, 2008, 2008 R2, 2012, 2014 and 2016 Support. T-SQL- Code Evaluations & Query Plan Analysis. Ensono have over 20 years of managing Critical Microsoft workloads for our clients, including Active Directory, SharePoint, Exchange & SQL. Our experienced AWS centre of excellence interacts with our other SME teams to provide seamless and extensive support for AWS based Microsoft workloads. Onica and AWS can help you to build, deploy, scale, and manage Microsoft applications quickly, that are secure and cost-effective. Onica combines expertise in AWS with Microsoft SQL Server experience to providea integrated Microsoft solutions running on AWS. Many businesses are running classic Microsoft workloads on the AWS Cloud platform, and Onica can help you to build, deploy, scale, and manage Microsoft applications. As both an AWS Premier partner and a Microsoft NSP Pariveda is in a unique position to help clients manage Microsoft on AWS workloads. Our unbiased approach allows us to put client needs first. Pariveda is a member of Microsoft's National Solutions Provider (NSP) program, an elite tier of just 34 systems integrators in the U.S. NSP program status gives Pariveda added leverage, priority, support and visibility within Microsoft. Rackspace has unique expertise in architecting, migrating, managing and securing Microsoft public and hybrid IT solutions on AWS. Rackspace provides comprehensive cloud, compliance, security, governance, automation and DevOps solutions for AWS. Rackspace helps clients design, migrate, manage, and deploy their Microsoft SQL Server environment on the AWS Cloud. The world’s most trusted brands partner with Rackspace to optimize mission-critical Microsoft IT operations powered by AWS infrastructure. 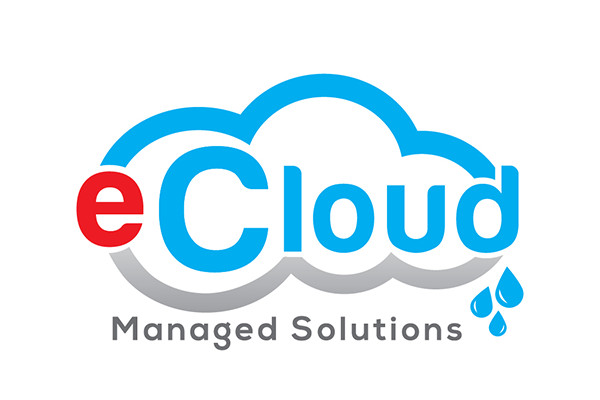 REAN Cloud provides enterprises with End-to-End professional and managed services. REAN Cloud's DevOps Accelerator platform can review your environment, migrate and deploy apps securely, and provide 24/7 operational support with continuous compliance. REAN Cloud will migrate and manage your SQL Server databases into the AWS cloud. We take detailed and automated steps to move your schemas and data into Amazon RDS or on Amazon EC2 instances using Database Migration Service and Schema Conversion Tool. Relus Cloud Microsoft Solutions are built with automation and manageability in mind. We are thought leaders in cloud solutions on AWS and apply those unique experiences to deliver pain free solutions for customers consuming AWS to run Microsoft workloads. Six Nines was founded in 2008, with the concept that companies would need a new type of partnership to help them move responsibly to the emerging cloud ecosystem. Six Nines is a Microsoft Data Platform Partner, focused on aligning your data strategy with your business strategy and leveraging the latest in big data and cloud analytics platforms. stackArmor provides full-lifecycle Microsoft workload migration and management services on AWS. stackArmor's Microsoft certified engineers support SharePoint, Sitecore, SQL Server and BI workloads such as Tableau and Qlik on Windows. stackArmor’s Cloud Solution Architects will help migrate and manage your applications on AWS. Accenture has a global capability for more than 40 industries. Migrate, modernize and transform critical Microsoft workloads and business-critical applications; Enable new applications on AWS like Big Data, Artificial Intelligence; Reduce support costs for unsupported/legacy Operating Systems; Ensure application of integrated security architectures. ECS combines our background in Microsoft and AWS applications to help clients modernize their platforms allowing them to more powerfully track and analyze data and query trends over a larger historical data repository. As a result, customers’ data can be turned into actionable insights to support their business mission. With ECS' unique background in both Our Microsoft Application Modernization capabilities include migration, development, optimization, refactoring, DevOps, automated testing and deployment, configuration management, and full life-cycle management and support. They provide expertise in building, migrating, and modernizing .NET custom software applications using Microsoft technologies such as MSSQL, IIS and PowerShell, deployed on AWS cloud. kloia focus is transition from .NET to .NETCore, which brings the benefits like crossplatform, higher performance, scalability, native Docker container support and orchestation on self-managed Kubernetes or on Amazon ECS. As a first phase, we conduct an assessment, create an output emphasizing the complexity of the migration to .NET Core, including our suggestions. Optionally, we provide a prototype of .NET Core on Kubernetes. Finally, we provide hands-on help and guide the development teams during their journey. Drive Application Modernization with Microsoft Workloads on AWS Let us help modernize your application portfolio by running Windows applications on AWS. Let us help modernize your application portfolio by running Windows applications on AWS. Neudesic is one of a select group of AWS partners nationwide certified to help you migrate, build, and manage Microsoft applications in the AWS cloud. We can help make it easy, secure, and cost effective. Onica combines deep AWS expertise with years of Microsoft experience to create integrated Microsoft solutions running on AWS for our customers. They have a certified AWS team of experts in automating Microsoft deployments onto AWS, as well as managing the complexities of enterprise migrations from legacy infrastructures. Onica has deep expertise working with businesses to help develop and run .NET applications on AWS. From migration strategy to cloud native development and immersive transformation, Onica is a full spectrum AWS integrator. Provide our Customers .NET solutions with end to end automation of CI/CD, modernization of infrastructure, and cloud native enhanced architectures. As an expert in cloud-based High Performance Computing (HPC) and automating Microsoft workloads, Six Nines has successfully architected, deployed, and automated hundreds of customer projects. Six Nines, as an expert on AWS and Microsoft technologies, helps organizations take their legacy applications and build a modern well-architected framework around them. Modernizing an application requires more than a “lift-and-shift” action. In many cases, adequate security and replication policies may not be possible without rethinking how the application will function after removing the traditional physical hardware and placing the application on a cloud platform. As a Premier Consulting Partner, Slalom can help you build your future, faster with Amazon Web Services (AWS). Slalom helps clients design, build, migrate, and manage their AWS deployments to reduce complexity and maximize value. Are You Interested in Listing Your Microsoft Solution? Partners interested in listing their Microsoft product, solution, or practice must have achieved the AWS Microsoft Workloads Competency through the AWS Competency Program.